You ordered your heritage turkey 11 months ago, you’ve culled recipes for irresistible appetizers from your favorite sources and you’ve hunted down the ingredients for the special cocktails you plan to serve. There will be nothing ordinary about your holiday fête. So why serve your everyday coffee? Here’s how to make room for delicious holiday coffee at your celebrations this season, from intimate dinner parties for four to swank cocktail parties for 50. 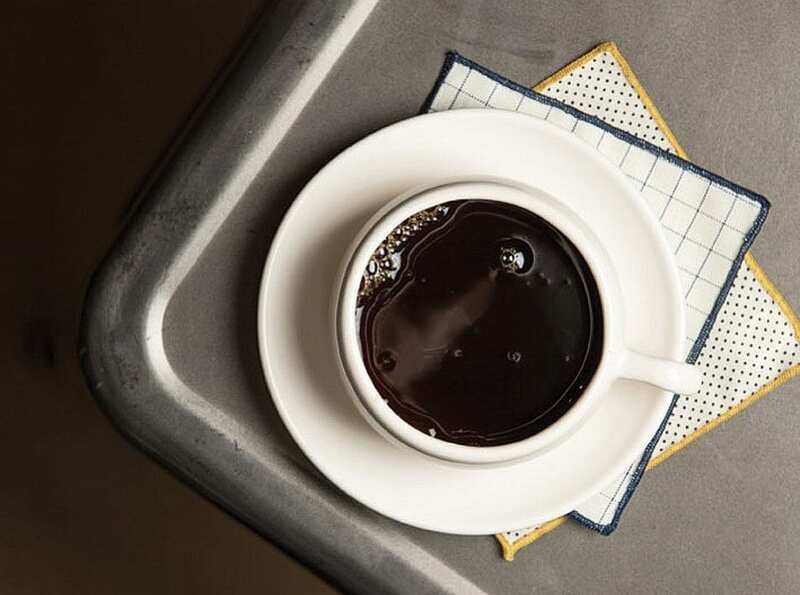 Small dinner parties are an ideal setting for celebrating coffee. In this quieter, intimate atmosphere, a special coffee can shine, and it can even play a central part in the festivities. You can take coffee service a step beyond the norm and impress your guests by pan-roasting raw coffee beans on your stove. It may sound intimidating, but it’s as easy as making stovetop popcorn, and it’s a fun way to connect with the way coffee’s traditionally prepared in its birthplace, Ethiopia. After an African coffee-buying trip, Seattle coffee roaster Caffé Vita and the communal dinner project One Pot partnered to re-create an Ethiopian coffee ceremony at a 60-person dinner in Seattle last spring. In many Ethiopian homes, at least once a week women slow-roast coffee beans over an open fire, grind them by hand with a mortar and pestle and brew the coffee while reciting prayers. This ceremony can last several hours, and popcorn might be cooked over the same fire, to be served with the coffee. To do this at home, all you need is a stove, a cast-iron skillet and at least six ounces of raw, or “green,” coffee beans. Caffé Vita sells green beans on request, as do many other roasters. After dinner, gather your guests around the stove. In a pre-warmed, uncovered skillet over medium heat, spread only enough coffee beans to cover the bottom in one layer. Agitate or stir the beans constantly, roasting them for up to seven minutes, or until they reach your preferred shade of brown. Be sure to use your oven’s fan or exhaust hood to manage smoke (although it shouldn’t get very smoky), and watch for flying coffee skins, or chaff, which can spark a fire. Grind the freshly roasted beans in a quality burr grinder, and for the best results, brew it in a French press (be sure to use the proper coarse grind). For another tie-in to coffee’s Ethiopian roots, serve it with pan-cooked popcorn. Bonus points if you make a popcorn garland while you enjoy your mugs of traditionally roasted coffee. If you’re throwing a holiday dinner for 10, gathering around the stove to roast some beans might not be practical, but you can still showcase great coffee and encourage participation and experimentation by staging an informal coffee tasting. Daniel Humphries, founder of the New York Coffee Society, recommends limiting the tasting to three coffees. “That way you can get some really dynamite stuff,” he says. For maximum variety, and to avoid caffeine overload, choose coffees from three very different origin countries, such as Kenya, Brazil and Guatemala. If your guests are already familiar with single-origin coffees, you can take the tasting to the next level by comparing coffees from three farms in the same region, or three coffees grown by a single farmer but roasted and sold by different coffee companies. Not sure where to start? Strike up a conversation with your favorite local barista or roaster. The best coffee pros will be excited to help you choose interesting coffees. Many roasters also sell beans online and ship to anywhere in the U.S. or Canada. Brew each coffee according to the instructions included with your brewing equipment, and pour a few ounces for each taster. Unless you have extra grinders and brewers on hand, the first coffee you pour will sit for as long as 15 minutes while you prep the other coffees. This is OK. In fact, more of the coffee’s flavors will emerge as it cools, making for a more interesting tasting experience. If you spend five minutes or so discussing each coffee as you taste it, this will allow the remaining coffees to cool to roughly the same temperature. Have sweeteners and milks on hand for those who can’t do without, but encourage everyone to at least taste each coffee unadorned to get a true sense of their flavors. You might be surprised to find that a coffee tastes fruity, citrusy, floral or naturally sweet. Chocolate is always another safe bet. “Get a high-quality chocolate and give a piece to each person,” Humphries says, adding that Central American coffees generally go well with a slice of orange, and Brazilian coffees go well with walnuts or cashews. At a large cocktail party, coffee probably won’t take center stage, but prepare it with care, and it won’t go unappreciated. For an event with 50 guests or more, hiring a barista can be an attractive option, but you can make and serve great coffee yourself if you plan ahead. “If [you] really want to do it up cool, contact the baristas at the best coffee shop in [your] neighborhood or city and ask if [you can] rent a barista, machine, grinder and everything to set up and make lattes with latte art and everything,” Humphries says. Of course, coffee and cocktails needn’t be kept separate. They can mix and mingle in the form of coffee cocktails, and the possibilities go far beyond winter fixtures like Irish and Spanish coffees. Strong coffee and espresso can hold their own among bold-flavored spirits and mixers.